Since going apple picking a few weeks ago, I've been slowly working my way through my peck of apples. 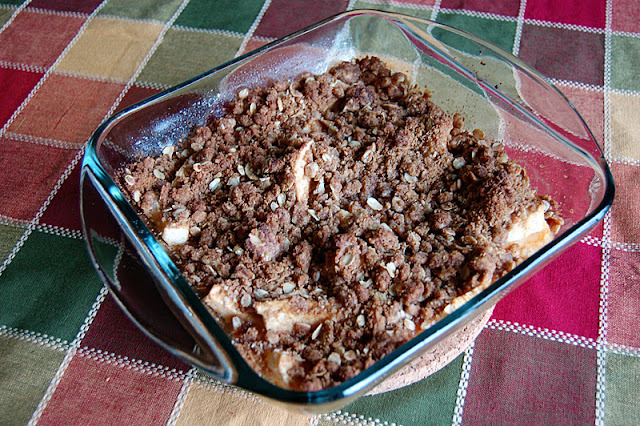 I've tried a couple different crisp recipes but my favorite is a classic from Betty Crocker. I'm a big fan of oatmeal in my crisp and this one is simple and delicious! 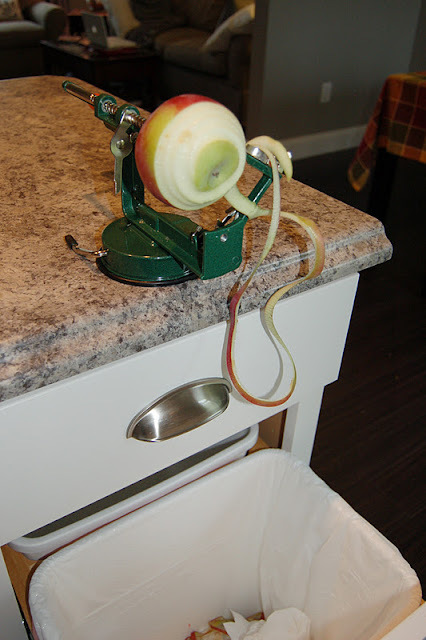 I got to try out my new apple peeler and corer, which makes peeling those darn apples a breeze! But, you have to use apples that are pretty crisp because mushy apples tend to be 'stripped' to much! And can I just mention how much I love my little pull out trash feature? So cool! Oh the joys of a new house! While it's fresh from the oven, take a serving and put a scoop of vanilla ice cream on top...perfection! I made this latest batch the morning my dad came over and installed my garbage disposal; I thought he'd like a treat for all his labor! 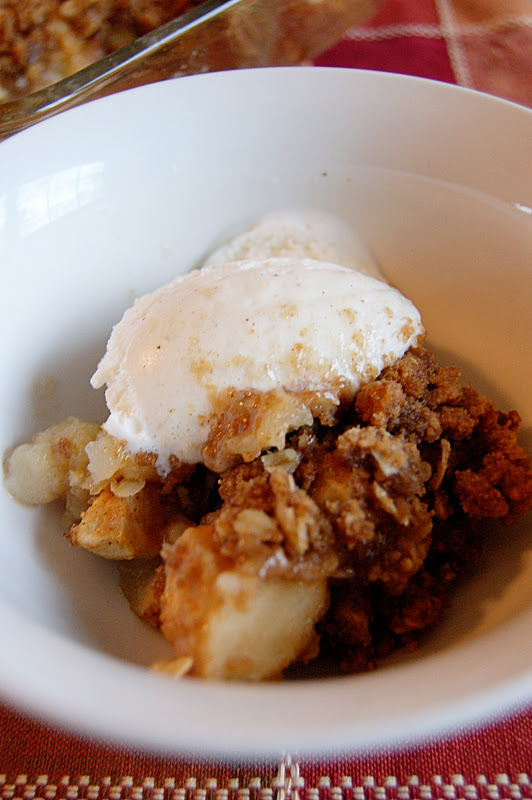 What's your FAVORITE apple crisp or apple recipe?